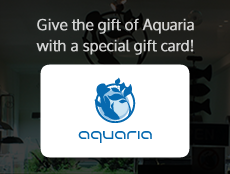 To spread the joy of aquatic plants, Aquaria holds workshops. which is easy to grow and great for beginners, to professional plant layouts. group lessons for friends and family, and off-site training for select topics. Studied Aquascaping with a heavy influence of Takashi Amano of Aqua Design Amano. Prize-winning entrant in the 2014 International Aquatic Plants Layout Contest. Member of the Tokyo Aquascape Union. Active participant and enthusiast in various activities and events related to aquascapes and aquariums. Learn how to create your own wabi-kusa in the Aquaria style with the plant leaves above the water line. Together, we will work to create unique creations, taking into consideration aquatic plant visual balance, aquascape layout and aesthetics. The workshop provides a relaxed atmosphere with the scent of essential oils to encourage creativity and wabi-kusa passion. Learn how to create and compose the substrate, select, arrange and plant appropriate aquatic plants, and develop a layout. Led by an expert who provides solid guidance from the basics to real-life applications. earth – water – fire – air – space: the five elements Aquaria uses to create harmonious microcosms of nature. Providing serenity, relaxation and the wonder of nature through miniature aquascapes.